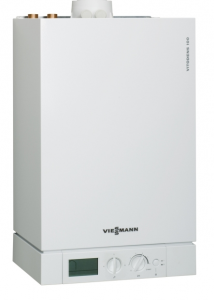 What type of Boiler Replacement Systems are in the UK? Making the decision about which water heating method to choose can be a bit daunting, especially if you are not quite sure how each type of boiler functions, or even what options are available to you. Under certain circumstances, you may also be able to get some kind of financial help from the government in the form of Boiler Grants to make your home Hot Water & Central Heating more energy efficient. 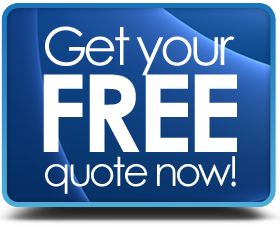 You can learn more about the cost of a new boiler from our Price Guide. One of the best features is the size of the unit, they are quite compact and you don’t have to install any water tanks which makes them less intrusive to install and therefore cost effective. You can get hot water as soon as you turn on the tap and the thermostat controls built in means the temperature is consistent – A very energy efficient product. Because this type is so popular, maintenance & parts are easy to find if there is a problem. Water supply needs to be adequate and be free of sudden pressure drops from the mains supply to get the best out of them. If you have a large house or a couple of baths, showers & taps running at the same time the flow to each individual outlet could reduce significantly. With most of the components “built-in” it means installation is not too complicated – very energy efficient and economical to operate (they can also work alongside Solar Thermal Panels which is an energy saving boost). The water can take a little time to warm up and if you over use the hot water you will need to wait for more to heat up. 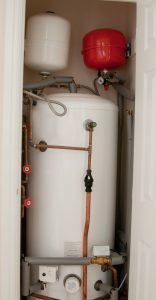 You need to have space (an airing cupboard usually) to install the water cylinder. This heating method is not really a specific product, it’s referring to the functionality of the boiler – in other words Condensing is a feature or attribute built into both conventional or combi designs. In effect, they have improved efficiency due to reclaiming heat which would have otherwise escaped via condensation created during the fuel burning process – giving you more heat from the same amount of energy used. As of 2005, new installations have been required to be of this type unless there are special circumstances under which non-condensers are rarely allowed and since 2010 they must be “A” rated. You can see how efficient your boiler is by looking at the Seasonal Efficiency of Domestic Boilers in the UK (SEDBUK) rating.